a. The product has reasonable structure, reliable sealing, excellent performance and beautiful appearance. b. Its sealing is realized by the sealing face around the sleeve. It has unique 360 degree metal edge for protection and fixing of the sleeve. c. There is no cavity in the valve for accumulation of medium. d. Metal edge provides the function of self-cleaning when the plug is rotated, and it´s applicable to the operation condition that is glutinous sand apt to smudge. e. Its double-direction flow makes installation and use more convenient. f. The materials of the parts and sizes of flanges can be configured reasonably according the actual operation conditions the customer required, so as to meet the various needs of engineering. A Plug Valve is a quarter-turn rotational motion Valve that use a tapered or cylindrical plug to stop or start flow. In the open position, the plug-passage is in one line with the inlet and outlet ports of the Valve body. If the plug 90° is rotated from the open position, the solid part of the plug blocks the port and stops flow. 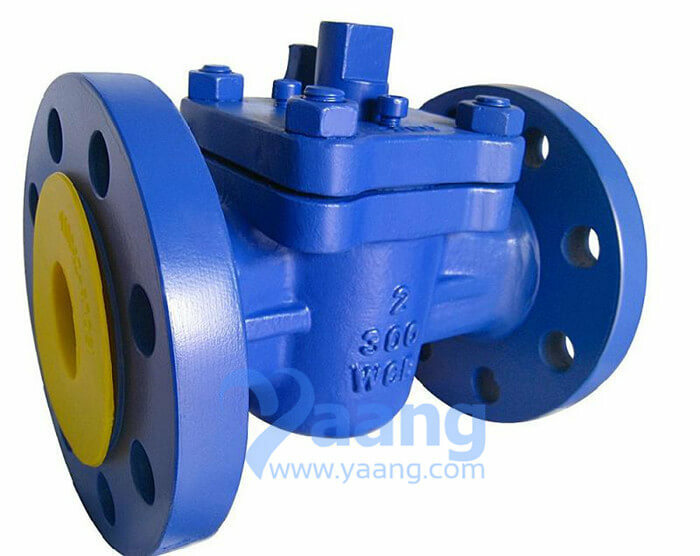 Plug valves are similar to Ball valves in operation. Plug valves are available in a nonlubricated or lubricated design and with several styles of port openings. The port in the tapered plug is generally rectangular, but they are also available with round ports and diamond ports. Plug valves are also available with cylindrical plugs. The cylindrical plugs ensure greater port openings equal to or larger than the pipe flow area. Lubricated Plug valves are provided with a cavity in the middle along there axis. This cavity is closed at the bottom and fitted with a sealant-injection fitting at the top. The sealant is injected into the cavity, and a Check Valve below the injection fitting prevents the sealant from flowing in the reverse direction. The lubricant in effect becomes a structural part of the Valve, as it provides aflexible and renewable seat. Nonlubricated Plug valves contain an elastomeric body liner or a sleeve, which is installed in the body cavity. The tapered and polished plug acts like a wedge and presses the sleeve against the body. Thus, the nonmetallic sleeve reduces the friction between the plug and the body. Rectangular port plugs are the most common port shape. The rectangular port represents 70 to 100 percent of the internal pipe area. Round port plugs have a round opening through the plug. If the port opening is the same size or larger than the inside diameter of the pipe, a full port is meant. If the opening is smaller than the inside diameter of the pipe, a standard round port is meant. Diamond port plug has a diamond-shaped port through the plug and they are venturi restricted flow types. This design is suitable for throttling service. Requires a large force to actuate, due to high friction. 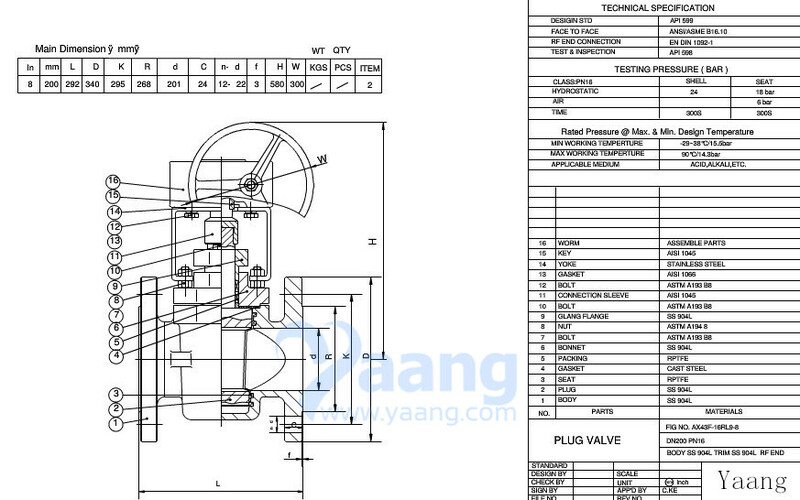 NPS 4 and larger valves requires the use of an actuator. Reduced port, due to tapered plug. Where can we find the high quality Sleeve Soft Seal Plug Valve.